Craft Time and Cupcakes: Fa-Boo-Lous Halloween Week! I hope you all are getting excited for Halloween! 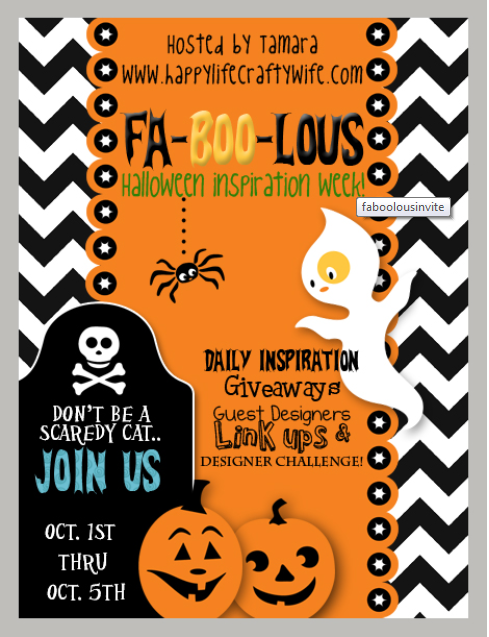 To kick off this wonderful Fall season I will be participating in the Fa-Boo-Lous Halloween Week hosted by Tamara at Happy Life, Crafty Wife. Please visit Tamara's blog for more details. I will update you here as well as information becomes available. Please join us and spread the word. It's bound to be a week full of fun inspiration and great giveaways! I have my Halloween treats all ready, just need ribbon. I cant wait for the blog hop!